"With great power comes great responsibility" need not apply. These Spider-Man PS4 quotes are full of heart, emotion, and humor. Check out what Peter Parker and friends had to say in their latest adventure. Spider-Man is always known for his quick one-liners during battles. Ever since his humble comic book beginnings, his sharp tongue, much like sister series Deadpool, has always been a defining trait. This tradition continued somewhat in the live-action Spider-Man movies, but it has been a much stronger thread in the video games. When Spidey isn’t emotionally cry-shouting at the latest betrayal of yet another supervillain friend, he usually spends his time reminiscing on his past interactions with characters with sarcasm. Spider-Man PS4 took Peter Parker’s sly wit to a new level. Every once in a while, the jokes don’t land (I still don’t get what he was referencing with the whole thing during the Vulture and Electro battle, but maybe I just need to dig a little further into Spider-Man lore), but most of the time, he’s hilarious. Some other characters got to take a turn at getting some zingers in, including MJ and Miles Morales. The entire game is full of great dialogue, making it hard to pick our favorites. In no particular order, here are the best Spider-Man PS4 quotes. 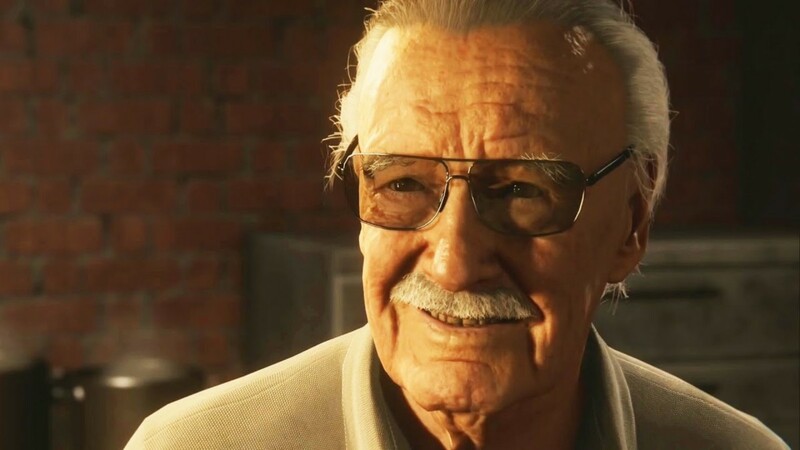 Stan Lee’s cameo in Spider-Man PS4 happened during one of MJ and Peter’s dates at their favorite diner. Apparently, in this universe, he is a short order cook, per the subtitles. I’m sure Stan Lee had a say in what his cameo was going to be in this game, because this quote feels rather pointed (and perhaps a dig at The Amazing Spider-Man‘s Gwen love story?). 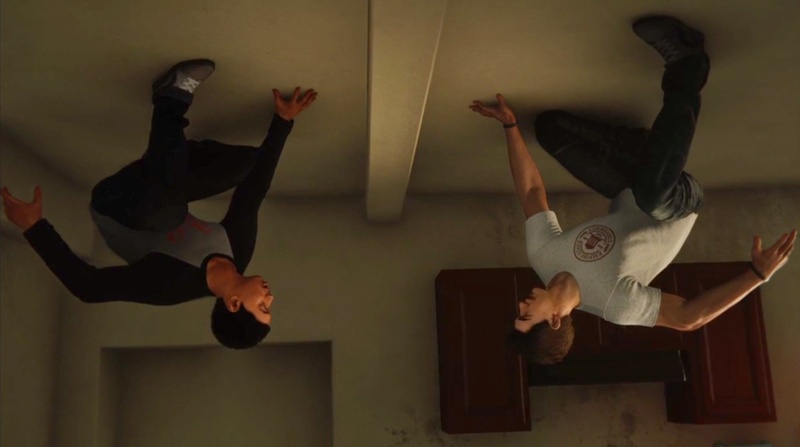 Miles was a breath of fresh air whenever he cropped up in Spider-Man PS4. He has a bright perspective on all of this zany action, and asks the important questions: where indeed does Peter keep his cellphone when he’s web-slinging around in tights? 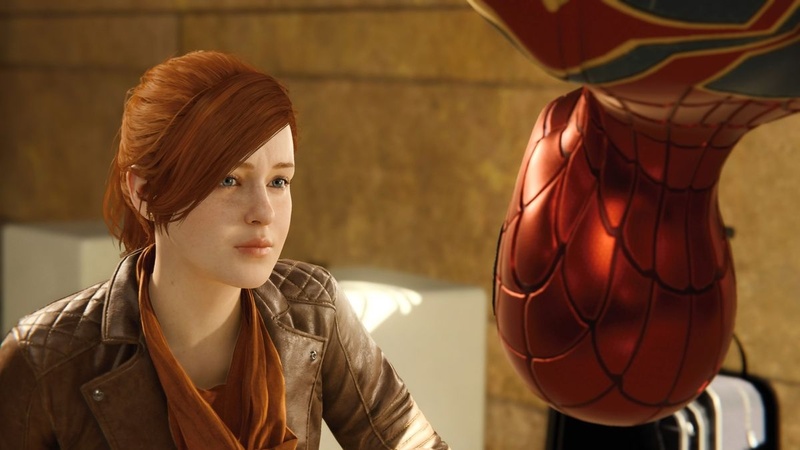 MJ took a bit of the limelight from Peter in this game, giving her the perfect opportunities to get off some awesome one-liners. This line was said as she tazes the second Sable officer that she meets on her way up to Norman Osborn’s penthouse. One of the best running gags in Spider-Man PS4 was the Spider-cop bit. Peter is determined to make his cop friend as annoyed as possible, so he takes up a grizzly voice and storytelling perspective to describe how awesome he feels helping out the police force. This heartbreaking quote also speaks of a great lesson that all of us can learn from. Peter reached his breaking point, and understandably so. There’s falling victim to a personality changing chip, and there’s also willingly accepting that you’re going to be evil. Peter found that Otto crossed the line, so he cut him out of his life, even if it meant exposing who Spider-Man was. When MJ was hesitant to give Peter advice on when it was time to let Otto go, it was because she knew how much saving the Doc meant to Peter. Losing his mentor and father-figure was a major blow to Peter. For a man that’s endured multiple concussions, sword slices, broken bones, ect., an emotion hurting “like Hell” must really, really hurt Peter.